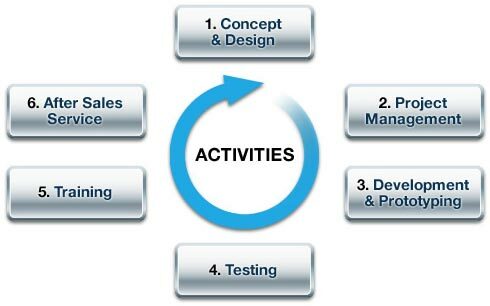 We think along with you, while carrying out everything from concept and design to development, manufacturing, testing, after-sales support and even training. That way we can maintain quality, ensure timely delivery and guarantee reliability. It also means we can feed the insights we generate in the field back into our development processes, so the solutions we provide really do meet your requirements.